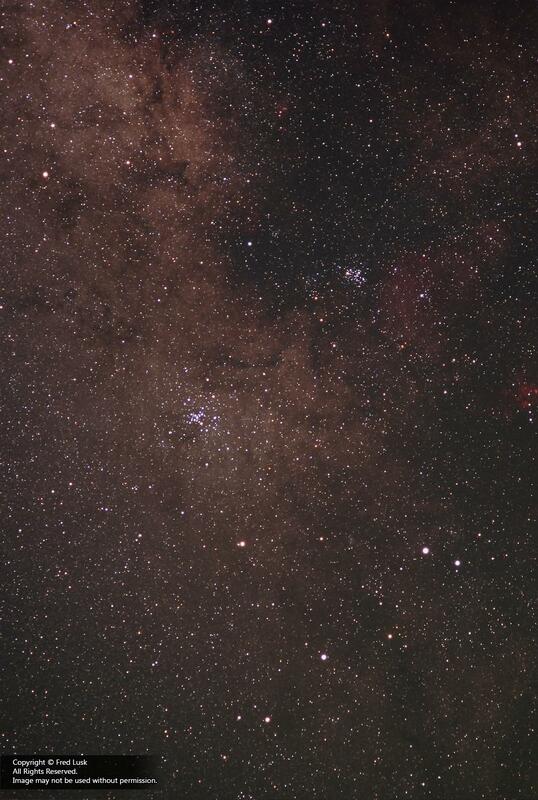 This photograph covers a 10°x15° swath around the open cluster M6 (the Butterfly Cluster) and M7 (Ptolemy's Cluster). 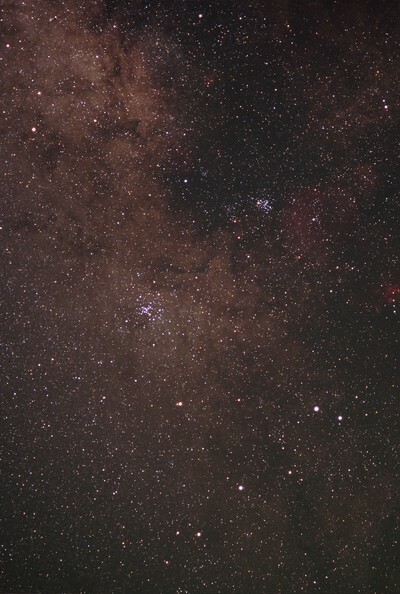 The "Stinger" of Scorpius is in the lower right quadrant of the image. Film: Kodak EliteChrome 200. Aperture: f/3.5 (or f/5.6?). Exposure: 20 minutes.